The double acting hollow prestressed post tension jack is hydraulic jack which is easy to operate and control, especially in large projects. In order to protect jack for safe operation, the jack builtin pressure relief valve to prevent overload, and the design of the security device. The connector of jack use high pressure rubber hose and threaded joint, it has the advantages of fast operation, and overcomes the shortcomings of the traditional joint oil leakage. 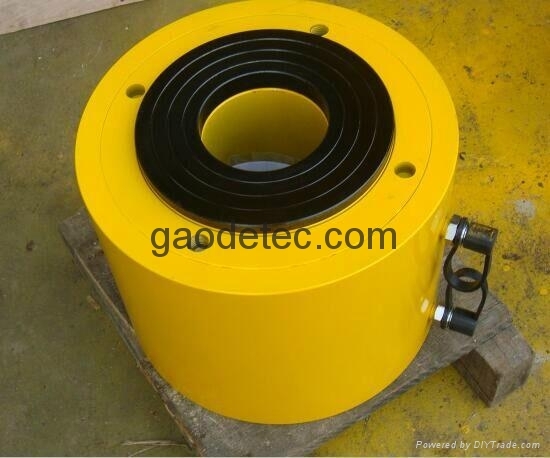 The china prestressed post tension jack is mainly used in concrete post tension prestressed, Tension steel strand.